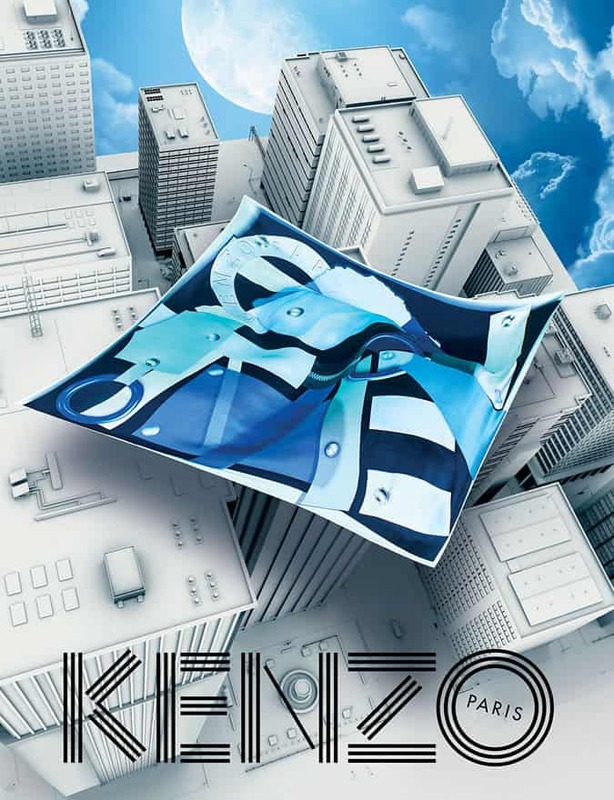 We’re well accustomed to Kenzo’s signature brand of kooky cool, so it’s good to see that things are no different for the upcoming spring/summer 2015 season. The Parisian label’s latest campaign transports us to a towering city metropolis, where Asian models Mona Matsuoka and Qing He walk the skylines and dominate architecture wearing a selection of the brand’s clean-cut and casual ready-to-wear pieces. A tonal mix of blues lead the campaign, seen in varying blocked shades and geometric shapes across simply structured knitwear, chino trousers, tops and outerwear. Eyewear and accessories also steal the limelight for a moment, with the label’s optical and sunglass frames landing starring roles alongside a tiger printed gold watch seen on a rock-gripping arm. The brand’s now iconic tiger emblem appears once again on a fierce but wearable pair of trainers, combing a simple running shoe silhouette with comic-style graphics. 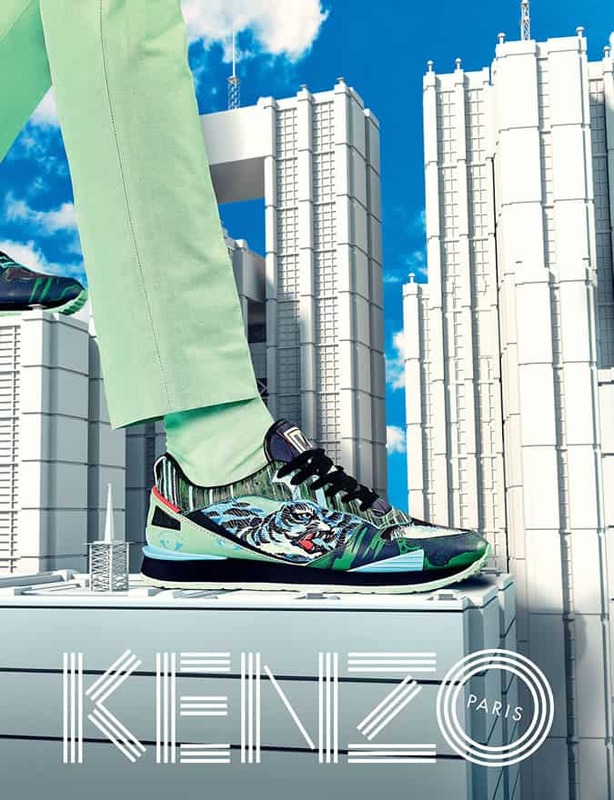 Keep your eyes peeled for Kenzo’s full spring/summer 2015 collection, which will be available in the coming months at Kenzo.com. The Right Colours To Wear For Your Skin Tone How to choose the perfect hues for your complexion, whether you're bedsheet pale or the colour of strong coffee The Best Disconnected Undercut Hairstyles For Men Everything you need to know about the style that Peaky Blinders made famous Blonde Ambition: How To Bleach Your Hair Who does the platinum look suit and how do you get it?